5,388 others viewed this post. 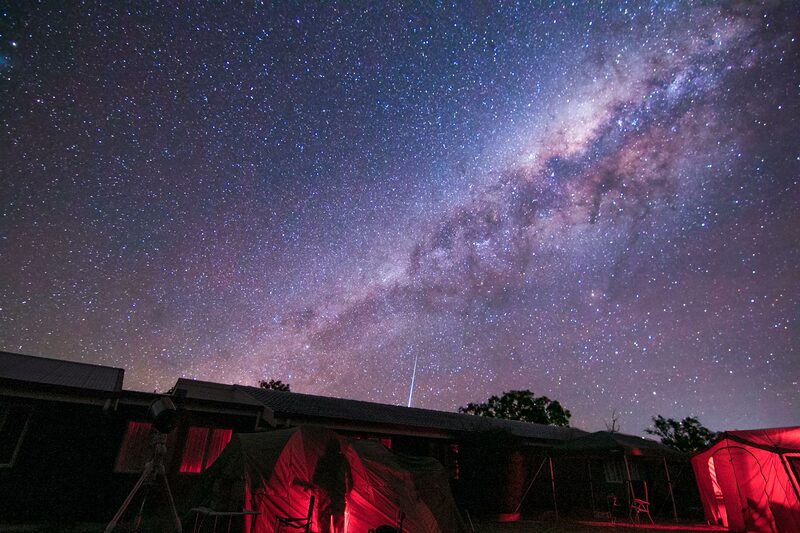 I’ve just got back from my first Star Party, the QLD Astrofest which was held during the Perseid meteor shower, so we were treated to constant streaks across the superbly dark skies all night long. This one caused a “flash” it was so bright and on reviewing my timelapse shots I found it falling right over my tent and (unfortunately) behind the accommodation building next to my tent. Here’s me trying to get my telescope aligned. I was put in with the “visual” group who weren’t imaging but were there only to observe. The “imagers” in the other field have a lot of LEDs and laptop lights around them, but I had to be mindful of all my light spillage which was difficult. The two groups have different goals that are almost ideologically opposed and can be difficult to navigate without offending anyone. Personally though, I’m an imager through and through. I only saw the flash of this meteor for a split second but can enjoy this moment in far greater clarity than my eyes can perceive after the fact thanks to digital imaging. I’m all for technology that improves our puny human senses, but can appreciate the experiential aspect too. I really enjoyed the whole thing, even though I would have been more productive at home, it’s nice to get drunk and watch the stars with similarly enthused people. Even if some of them are overly competitive nerds who just want to talk about gear and specs!